Krasovsky Institute of Mathematics and Mechanics of Ural Branch of Russian Academy of Sciences, Mathematical Programming Association and Ural Federal University named after Boris Yeltsin are to organize a conference titled "MATHEMATICAL PROGRAMMING AND ITS APPLICATIONS" in memories of prof. I.I. 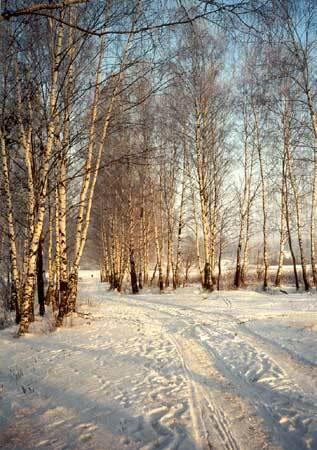 Eremin, which will be held in 2-6 March 2015 at some resort in close neighborhoods of Ekaterinburg. Conference scope traditionally covers a wide range of problems from continuous and discrete optimization, machine learning, operations research and applications. Track covers frontiers in mathematical programming such as duality for classes optimization problems, their robustness, regularization, parametric analysis, infeasible mathematical programming problems and vector optimization. Special focus is also on efficient algorithms for optimization problems and their convergence. Track scope includes mathematical modelling in economics and operations research, database and software design for optimization problems, including using of parallel computing. Practical applications are encouraged of mathematical modelling in economics, management, design and finance. Track considers mathematical programming problems in infinite dimensions, optimization in general spaces, problems between mathematical programming and optimal control, approximation theory and ill-posed optimization problems. 2. uploading abstract manuscript via the conference web site (most preferable) or sending its files by the e-mail mpa2015@imm.uran.ru before 16th January 2015. Manuscript files must fit the requirements given below. Invitations will be sent with additional information once abstract manuscripts reviewing process is completed. abstract manuscript files (.tex, .eps etc) must be zipped. The respective archive name should follow the first authors surname and initials (e.g., IvanovII.zip). Abstract manuscript .zip file must be sent using an item titled "The report, theses or archive for the paper edition" during the abstract registration process. Dear MPA-2015 conference participants! Login and password from the MPA-2011 conference can be used for registration for the conference (in case you are MPA-2011 participant). Please enter login and password in «Login» section of the web site. If you are forgotten them, please use follow link «Restore the password». If you are new for the conference, please use item «New participant registration». To get access for your conference account afterwards use your login and password in the «Log in» section of the conference web site. Dear MPA-2015 conference participants ! 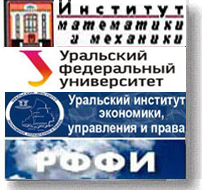 Requirements for the "Bulletin of South Ural state university" journal are given in the link. Papers for "Proceedings of the Institute of Mathematics and Mechanics" should contain at most 10 pages. Latest conference program is posted in section "Program" of the conference web site to date 02.03.2015 21:00. Program committee completed abstract manuscript review process. Secondary conference call letter with detailed information and personal invitations will be sent to the authors of accepted papers at the beginning of the next week (16-18 February). Abstracts are due to be published in the conference abstract book by the conference opening, which are accepted for the conference. At the end of the conference authors of selected conference talks will be invited to submit full-length papers for publication in special issues of journals "Proceedings of the Institute of Mathematics and Mechanics", "Discrete analysis and operations research" and "Bulletin of South Ural State University". Conference on-place registration is due to be held at the Krasovsky Institute of Mathematics and Mechanics, Ural Branch of RAS, on 2 March from 9-00 to 17-00 of local time. Conference registration fee (includes accomodation, room rental for conference tracks, publishing, transportation and other fees) is 9000 rubles. 620990, Russian Federation, Ekaterinburg, Sophya Kovalevskaya street, 16, Krasovsky Institute of Mathematics and Mechanics, Ural Branch of Russian Academy of Sciences. Organizing Committee of "MPA-2015"